Health care providers have a well recognized—albeit often uncomfortable—role in assessing and counseling older drivers. Unfortunately, research has shown that too often these conversations don’t happen until a concern, such as a car crash or worsening health, means it’s time to stop driving. Many providers may not even know whether their older patients currently drive. And, because driving retirement is such an emotional issue, it can become a hot-potato topic that providers and family members toss back and forth, with both sides hesitant to take it on. The situation is exacerbated by the significant time and resource pressures on health care providers, including inadequate support from social workers or other staff and inadequate education about options for further testing. When talking about driving retirement, it’s important to remember that contrary to popular stereotypes, most older drivers are actually safe on the roads. Many limit their driving to small geographic areas and avoid hazardous conditions such as bad weather, and they are less likely than younger drivers to engage in risky driving behaviors such as speeding, texting while driving, or driving while intoxicated. The risk of motor vehicle crashes does increase with age, but the risk of injury is mostly to the older driver, not to the surrounding community. Therefore, it’s important to fight the ageist stereotype that all older drivers are dangerous, especially given the fact that driving cessation can lead to decreased mobility and community involvement, depression, worsening health, and even early death. At the same time, research has shown that, on average, older drivers outlive their safe driving ability by up to 10 years. Thus, most older adults will eventually need to transition to other forms of transportation. The challenge lies in identifying how providers can help their patients stay safely on the road as long as possible and then, when the time comes, transition smoothly to other forms of transportation. Without advance preparation, this transition may be abrupt and leave an older adult stranded at home, feeling like a burden on family members or friends, or fearful or confused about public transportation. One solution may be to help older adults prepare for driving retirement in the same way they prepare for other inevitable changes, such as retirement from work, future health problems, and death. The first conversation about a future transition from driving to other forms of transportation should occur long before the arrival of the actual time to stop driving. Preparation for driving retirement should include consideration of transportation needs, such as distance and frequency of trips for work, medical appointments, shopping and leisure, and options such as friends or family members, ride services, and public transportation. It should also address the emotional impact of driving retirement and make plans to ensure the older adult can remain involved in his or her community. Available resources to assist with these conversations include transportation worksheets and communication guides for family members (see Useful Resources, below). In an ideal world, these conversations would be part of a multidisciplinary effort by physicians, social workers, occupational and physical therapists, and other health care providers to help older adults remain independent, healthy, and happy. There would ideally also be accompanying changes in the community in urban design, public transportation, and social services to support the needs of older adults. But in the meantime, providers can start by talking honestly and openly with patients—and their own family members and friends—to help them prepare for the day when it’s time to “hang up the keys.” These conversations could begin with even a simple question at an annual exam. So the next time you see an older patient, think about asking, “Do you drive?” It may lead to an interesting conversation and, if brought up regularly, may make it easier to talk about stopping driving when the time comes. — Marian Betz, MD, MPH, is a Denver-based emergency physician who conducts research on older driver safety, with current support from a Paul Beeson award from the National Institute on Aging and the American Federation for Aging Research. 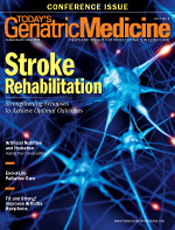 • Helping Elders Retire From Driving by Carmel Bitondo Dyer, MD; Padmahasta Pilla, MD; and Faith Atai, MD, in Today’s Geriatric Medicine March/April 2013: www.todaysgeriatricmedicine.com/archive/0313p24.shtml. • AAA Senior Driving (includes resources for older drivers and their families): http://seniordriving.aaa.com. • AARP (includes transportation worksheet and other resources to help families talk with older drivers): www.aarp.org/home-garden/transportation/we_need_to_talk. • Carr DB, Schwartzberg JG, Manning L, Sempek J, ed. Physician’s Guide to Assessing and Counseling Older Drivers. 2nd ed. Chicago, IL: American Medical Association; 2010. Information available at http://geriatricscareonline.org/ProductAbstract/physicians-guide-to-assessing-and-counseling-older-drivers/B013.